We all have clothes in abundance and yet we don’t understand the value attached to something as mundane as clothing necessity. Clothes Box Foundation is an initiative that started in 2014 and its aim is to provide clean clothes to those who are in need of them, through transparent methods using social media. The idea behind this foundation was to put use to the clothes that are of no particular use to its owner to donate them to the less fortunate, who can’t afford to buy clothes for themselves. The two parties involved are the donor and the beneficiary. Now the most unique thing about this foundation is that every donor knows exactly who gets their clothes as CBF uploads pictures of beneficiaries to whom the clothes have been donated on their Facebook page. 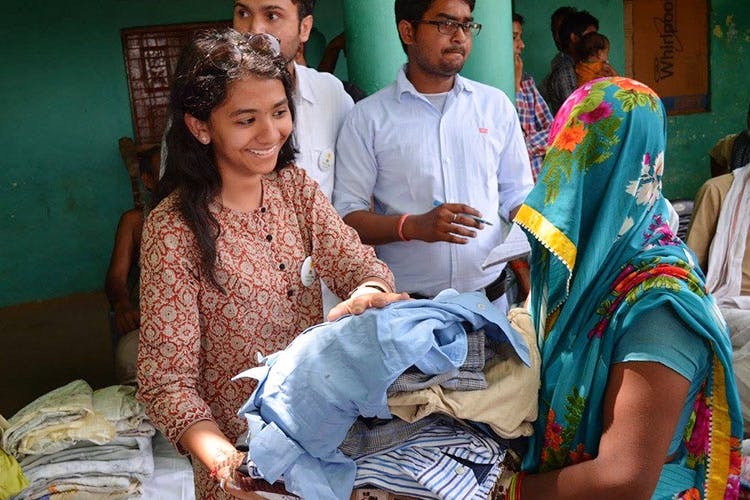 Unlike other NGOs, this process by CBF not only ensure transparency, but it also provides the satisfaction to the owner to see that smile on the beneficiary’s face once they receive their set of clothing. The process is pretty simple, if you own clothes that you’d like to donate, all you need to do is call CBF or direct message them on their Facebook page. Once you do that, you will have to visit their Reach Collection Centre by informing their team about when and at what time are you coming. After they have received your donation, a CBF team will go to distribute the donation made by you to its recipients. Winter is almost here and soon, the news will be flooded with people dying because of cold. But if you do your bit to help out those in need, you might get a chance to save lives. So come and be a part of this initiative. And ask others to join too. Life is all about spreading happiness after all, isn’t it?